Most of the smartphone brand manufacturing companies are all busy with production of smartphones that has wider and longer screens. Today, am sharing with you one out of many other phone manufacturing companies brand that decided to single themselves out from the public with their simple World's Smallest Smartphone that has break record all the way. 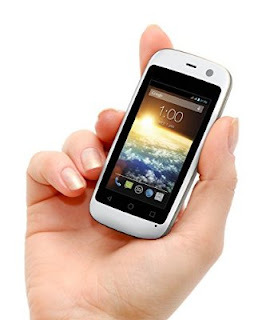 The smartphone which happens to be called Posh Mobile Micro X was built to feature a 2.4-inch display (and to have it, that’s the only smallest phone with that side in the World). The small smartphone is not only the best thing that happened to the device, it also features some nice specs, like; the small battery capacity it came with is 650mah, with a camera of 2mp. The phone is actually powered by MediaTek 6572M chipset with an enabled feature that speed up the device when functioning, so it has a 1.2GHz and a RAM of 512MB. 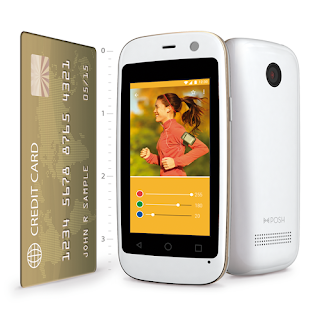 The small smartphone feature by size runs on Android 4.4kitkat with a whooping 4GB expandable internal storage ROM. The phone is actually on sale right now on Amazon, the price goes around $55, and it came with six different colors available for you to choose the best color that suit you. They colors are available in white, gold, blue, pink, black and white with gold finish. Below is the Summary of this device’s specs, just take a glance at it. Colour: White with Gold finish. >> Get the Posh Mobile Micro X from Amazon at $50 here.